Canton Wok in Lewiston Maine is Chinese food you’ll love. 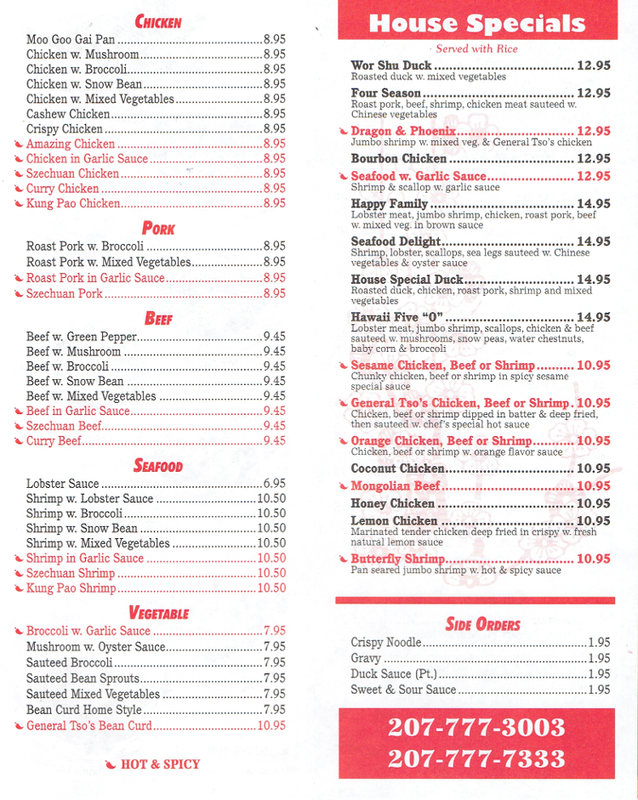 For fast delivery or takeout and Fine Chinese food, give us a call at Canton Wok Restaurant in Lewiston Maine! 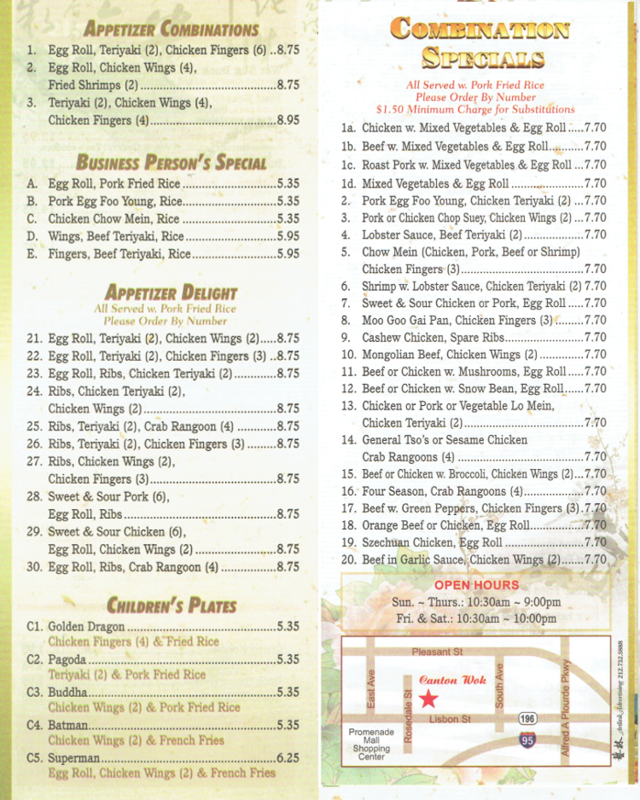 One of the best Chinese restaurants in Lewiston and Auburn Maine, check out our menu. 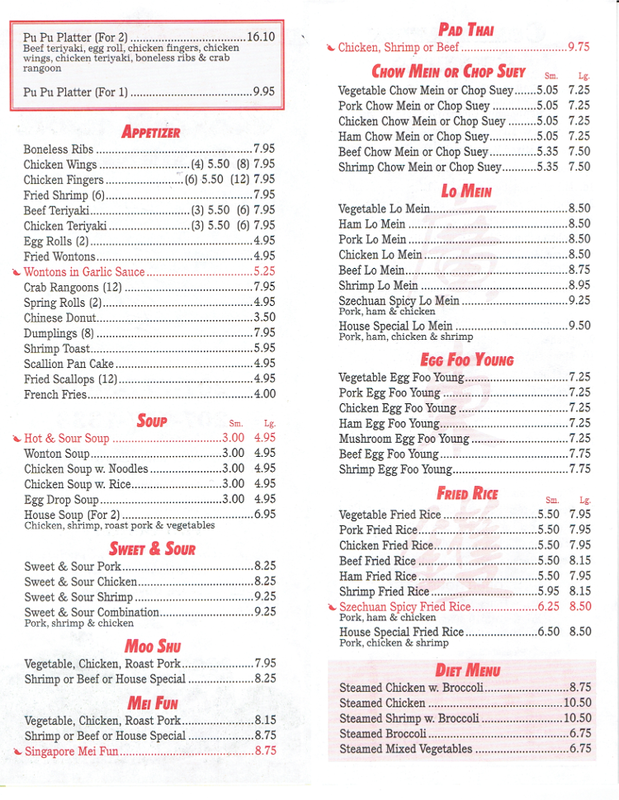 For your favorite Wonton Soup, Pork Friend Rice or General Tso’s Chicken perhaps, give us a call today. My family and I go here for the best chinese food in LA. Food is hot and fresh and waiting time is minimul. I held this restaurant in high regards. To my dismay I have told many people of the good food. But as of the past year or two the quality of the food has dropped to a level that can only be described as grotesque. Tonight was my last night. I will no longer give my money away. My daughter could not even chew the teriyaki steak. The general tso chicken was nothing but batter. And the rice was horrible. If you really want good food, my new spot is the empress garden in winthrop.